Michele M. Lemasters, 58, of Weirton, WV, passed away Friday, October 13, 2017, at Weirton Medical Center. Born February 20, 1959, in Steubenville, OH, she was a daughter of George Lacik of Follansbee, WV, and the late Beverly Giebell Lacik. She was also preceded in death by her infant brother, Gabriel; infant sister, Seraphim Lacik and father-in-law, Kenneth Lemasters, Sr.
For over 35 years, Michele worked as an administrative assistant for the Food Nutrition Department at Weirton Medical Center. She was a member of St. Mary’s Byzantine Catholic Church, where she was a member of the Altar and Rosary Society, choir and taught CCD. She was a member of the Weir High class of 1977. Michele loved vacationing with her family at Myrtle Beach. She was an avid sports fan, especially baseball. She loved watching the Steelers, Penguins. Pirates, and WVU Mountaineers, but most of all, she enjoyed watching her children play sports. Michele had a love for dogs and you could always find her devoted dog Piper by her side. 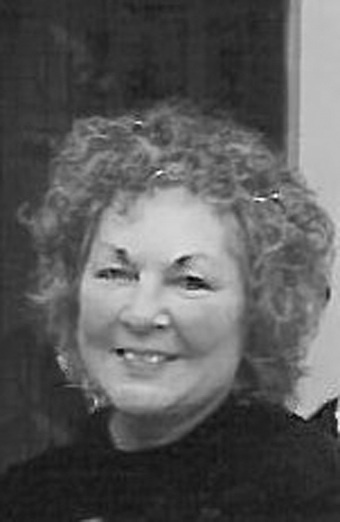 In addition to her father, George Lacik and his wife Joyce, Michele is survived by her husband of 32 years, Kenneth Lemasters, Jr., whom she married on July 20, 1985; sons Kasey Lemasters of Pittsburgh, PA, and Garrett Lemasters of Weirton; daughter Kelly Lemasters of Weirton; sisters Anne Marie White (Mike) of Weirton and Terri Livingston (David) of Bridgeport, WV; brother Michael Lacik of Weirton; mother-in-law Dixie Crawford Lemasters of Weirton ,sister-in-law Debbie Chesney (Gordon) of Pittsburgh and several nieces and nephews. Visitation will be Monday 2-4 and 6-8 p.m. with parastas service at 7 p.m. at Greco-Hertnick Funeral Home, 3219 Main St., Weirton. Additional visitation will be held 9 a.m. Tuesday at the funeral home with a blessing service at 9:30 a.m.
Funeral liturgy will be celebrated 10 a.m. Tuesday at St Mary’s Byzantine Catholic Church, 3116 Elm St, Weirton. Fr. Vasyl Symyon will preside. Burial will follow at St Paul Cemetery. Memorial contributions may be made to Saint Mary’s Byzantine Church.